Through One27 and CIEE, you will spend up to 10 weeks working at a summer camp leading, teaching and encouraging campers to develop their talents and have fun. You will be placed in a position suited to your strengths such as sharing your particular passion and knowledge with others or as a camp counselor, guiding campers through the daily camp activities. Do you have the skills it takes? The Summer Camps in our network offer a wide variety of games, sports, arts and crafts for campers to engage in. There is a constant search for counselors with experience in leading and teaching groups of campers, especially more specialized activities like woodworking, fencing, etc. One27 will work with you to find a camp that could use your skills. These camps serve campers with one or more disabilities including those who are emotionally, mentally, or physically disabled. Specialty needs camps often offer the most challenging camp experience, yet can be the most rewarding. Many of these camps serve more than one type of disability, serving campers with a range of mental and physical disabilities during one session or specializing in one disability each session. These camps are affiliated with a social or advocacy agency that assists with funding. Many serve co-ed campers—from all walks of life—in the same facility, on separate campuses, or through different sessions for boys and girls. These camps can range from very rustic to traditional in their cabins and buildings. Many agency camps appear to be similar to private camps, but often follow a mission aligned with the affiliated agency. These camps only serve female campers and are often run in one- to two-week sessions throughout the course of the summer. Girl Scout camps are generally focused on building wilderness skills and participating in outdoor activities. Most Girl Scout camps use primitive tent cabins for their housing. These camps—run or sponsored by outside community groups—often serve low-income campers from inner cities or extremely rural backgrounds. These camps are often quite rustic in nature as they are dependent on philanthropic organizations and other groups for funding. Most of these camps are affiliated with either the Christian or Jewish faiths and incorporate both religious and non-religious activities. The emphasis on religion varies greatly from camp to camp. These camps focus on a particular sport or activity like horseback riding, sailing, or theater. Specialty camps may also serve specific populations such as campers who have ADHD or have suffered a loss. Be a camp counselor, interested in gaining real-world experience working with kids? Be an educator, mentor, and leader to a group of kids for up to ten weeks, develop important skills and gain critical work experience in the education field. No matter which role you choose, you will be an ambassador for your country, discover America through one of its most unique traditions, and develop skills like critical thinking and leadership that will serve you throughout life. You will guide campers through a specific activity each day. Depending on the camp, activities range from ceramics to music lessons to waterskiing to specialties such as dance or skateboarding. Whether you are helping campers write an email home to their parents or checking in to see how bunkmates are getting along, you will be the children’s activity master, supervisor, cheerleader, and source of guidance throughout the program. 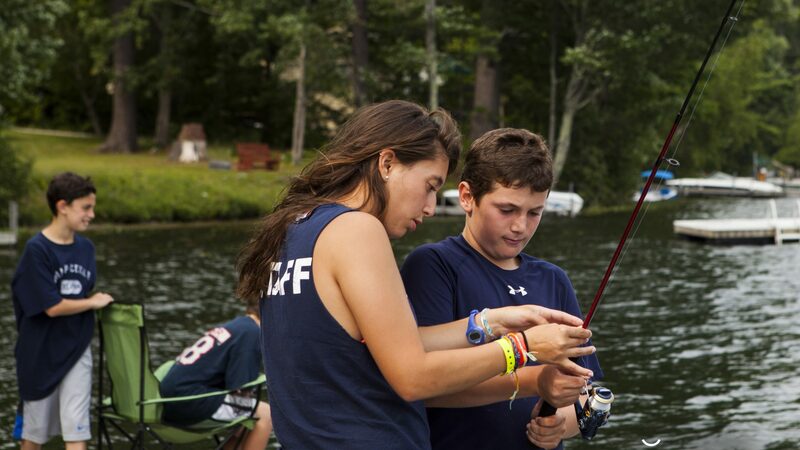 Working as a camp counselor means up to 10 weeks of dedication as you will essentially be helping campers have the best possible engaging experience at camp. Your camp will be where you eat, sleep, work and relax with your group of campers and peers, working around 6 days a week and on your off days you could explore the local community. Each day at camp will bring new challenges and experiences as the hours are long, but the lessons in leadership and the friendship your make will last a life time. The summer’s almost over, you have said goodbye to your campers, and are making plans to visit your new friends. Now, get out and see America! After the camp season is over, you will have up to 30 days to travel the country, learning about the landscapes, cultures, and people that make the U.S. such a diverse and fascinating place to live. From coast to coast—and everywhere in between—you will find sites that inspire and amaze. Climb to the top of the Statue of Liberty in New York City. Cross the Golden Gate Bridge in San Francisco. Or explore the great wide-open in Yellowstone National Park in Wyoming. No matter where you go, you will get a taste of what makes the U.S. so unique.